Unlucky for some but Bernard Kerr will no doubt be happy with taking the thirteenth spot on a weekend when so many were hit by issues. Sometimes it's a war of attrition and just getting to the other end is victory in itself, but after a hampered result at Round 1, this puts him back on track with a result more in keeping with his strong finish to the 2016 season. 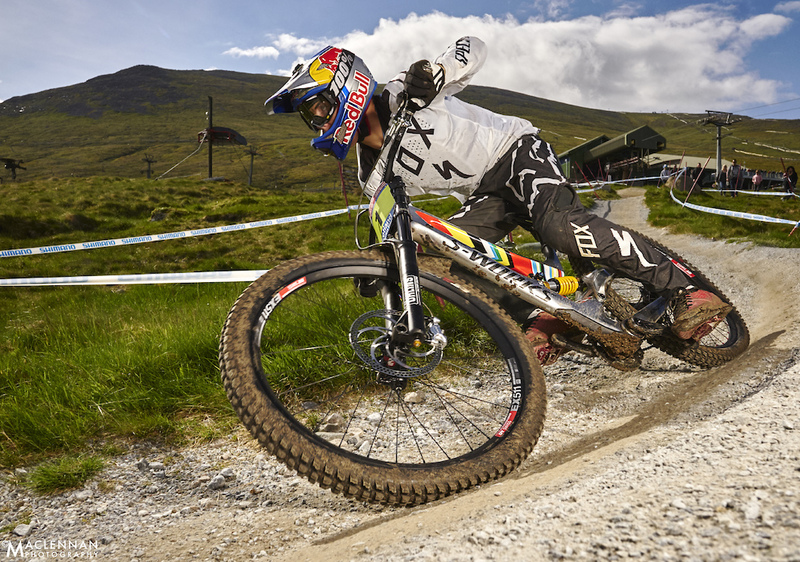 Would you ever be in danger by putting money on Minnaar in Fort William? He's won here more times than any other, first in 2004, followed by two more in 2010 and 2011, and another back to back in 2015 and 2016. But would he make the hat trick and take the first 29" World Cup victory? He's certainly one of the riders to benefit most from larger wheels, at least anecdotally, given he's been quoted as saying 'I've finally got a bike that fits me'. 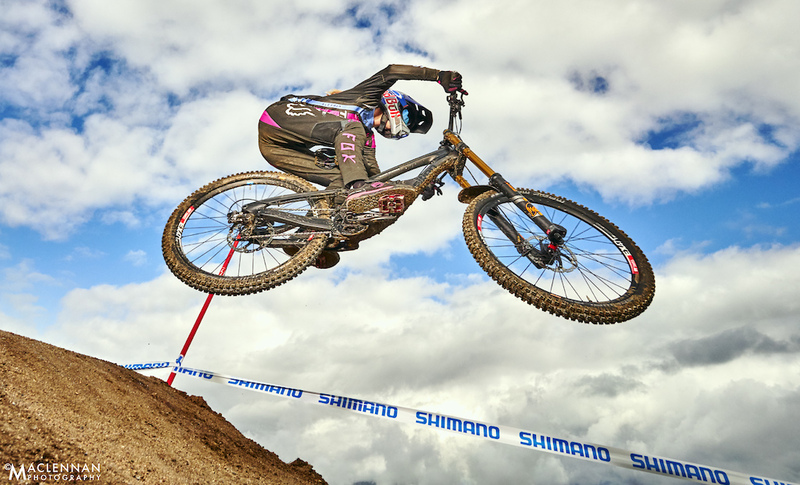 A track like this when in full attack mode can require a rider to take the bull by the horns, but also, can require a little care, a little more finesse, a little more control. And it's a line of balance Greg has trodden successfully many times before. Seen walking the woods comprehensively before practice it was evident that no risk was being taken with this one. Sitting on the start line as the wind picked up and the rain intensified must have been a nerve wracking experience. Sure, the rain had started a few riders earlier but by now it was beating down. Do you take it tentatively, or throw it all in with nothing to lose? 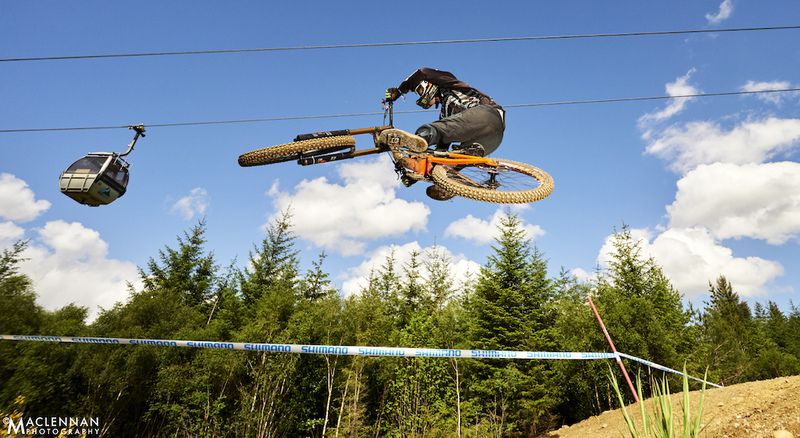 Down at the first split was an indication of the wind strength, for the upper turns are normally Minnaar's strength, but even a dab in the woods wasn't enough to unsettle his run. 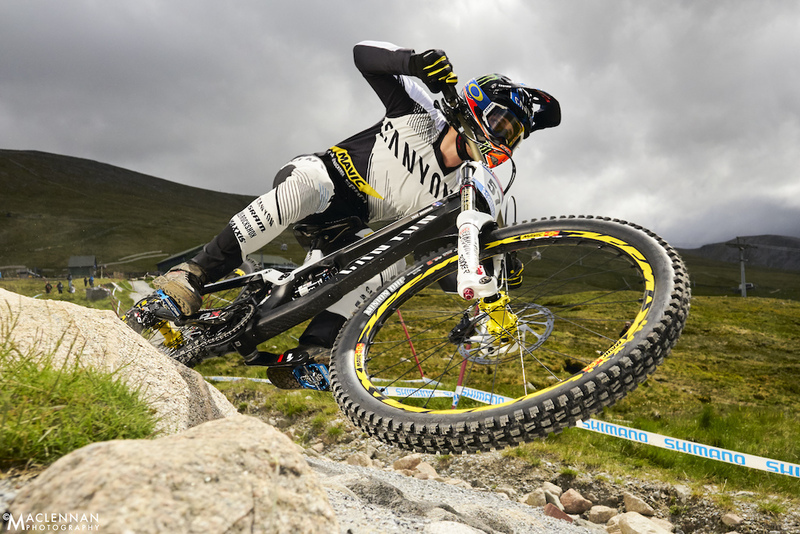 The master of Fort William, six times winner, three times in a row, and with the worst conditions. He truly deserved this one! 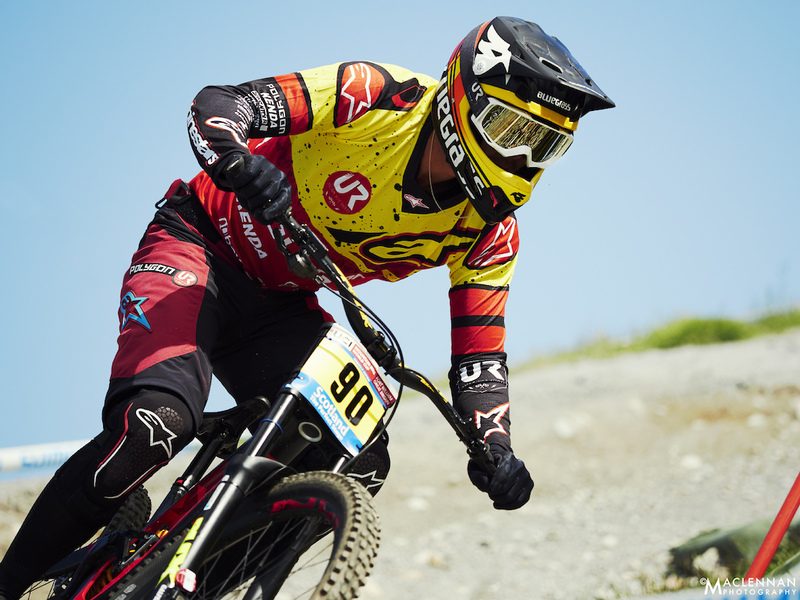 Aaron Gwin was definitely fit for the win this year but ultimately couldn't quite piece it together sufficiently. The final nail was blowing a corner above the Hazzard Hoofer, leaving him trailing nearly four seconds back but still able to salvage an otherwise solid third place. The first, and last, few hundred metres of Florent Payet's qualifying run. Carrying the No.4 board he was looking smooth yet quick all weekend, the sure sign of someone who has it all under control. But while you may be in control, that isn't to say that lines don't change, and at the top there's no space for safety margins. Only just making it to the first split he went down hard in the rocks and, like many others before him over the last fifteen years, was out. After fifteen years we finally have a women's winner here who isn't British or French! With Rachel out of action it was always going to be a new winner, but what nationality? France had already seen four separate winners, would 2017 see a fifth? Despite there being a solid field of women all fit for taking that top spot, in the end it fell to Tracey Hannah to deliver the goods. She may not have beaten Rachel's qualifying time but it was enough for a ten second margin over second place. 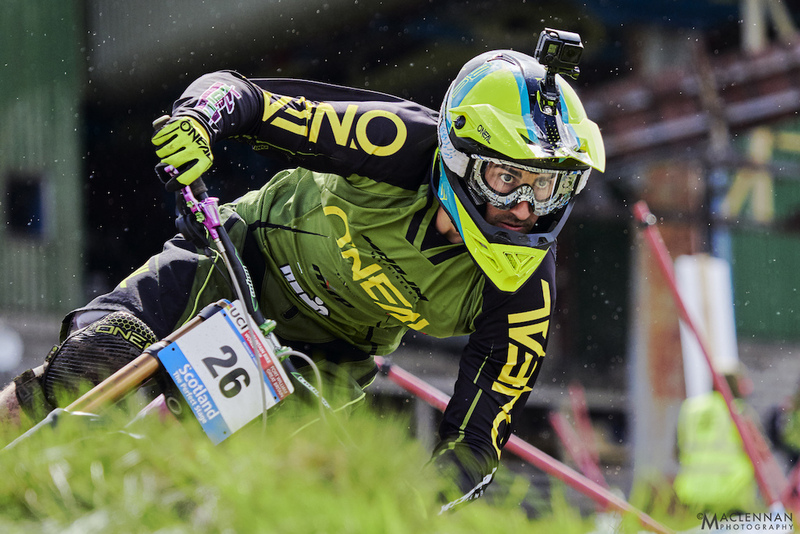 Wyn Masters was another who'll be looking to get a monkey off his back in Leogang after being another one to be taken down in the woods, not making it out of qualifying with a 94th place run. But it wasn't to be. 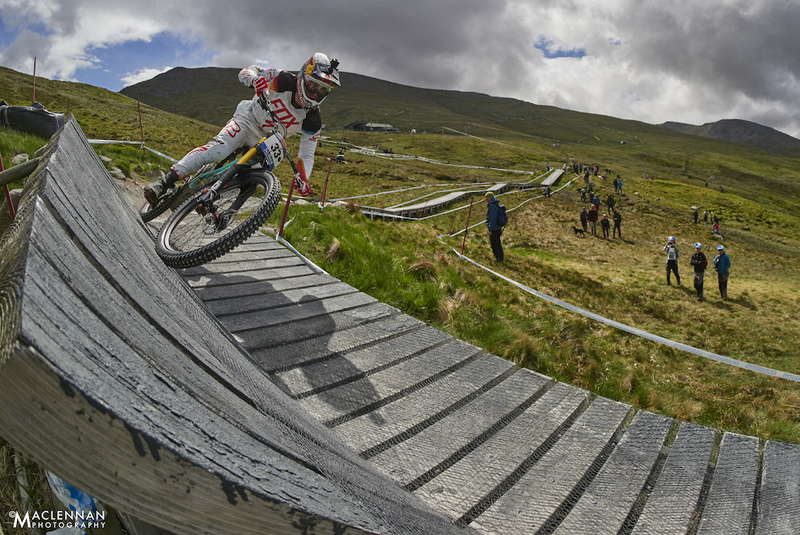 The upper corners of the Nevis Range may look easy, but when you're riding on the absolute limit of traction, on a track covered in marbles, sometimes you trip and go down hard. The wind nearly caught out a number of riders on the boardwalk but Greg was the unlucky one to go down. 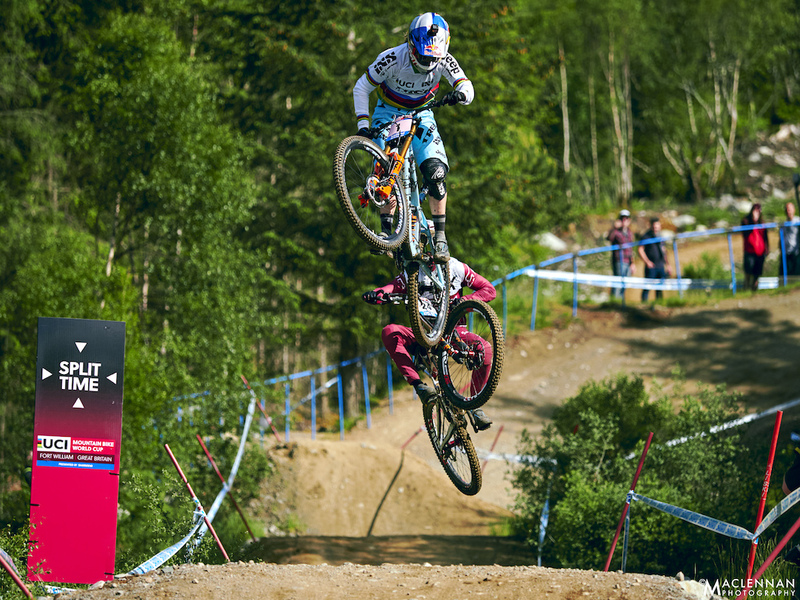 Leogang will be the peace maker. 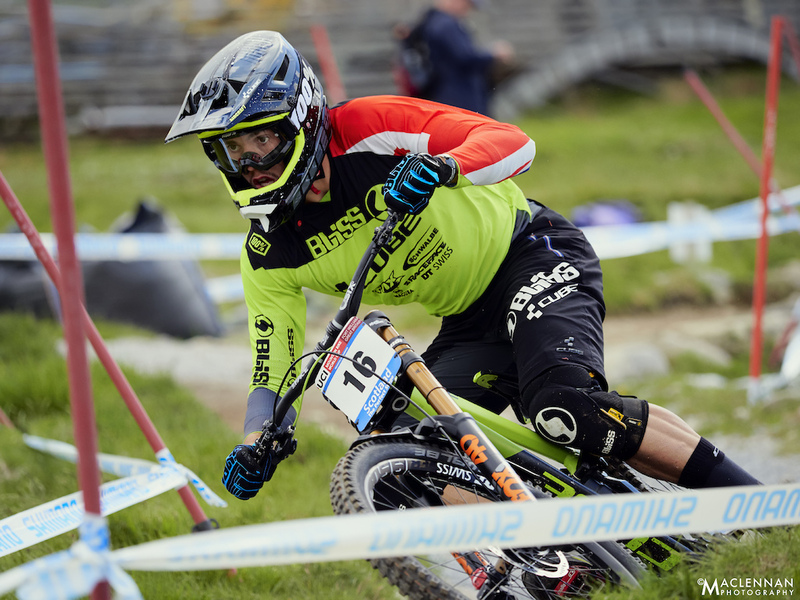 Fresh from a strong showing at Wickow in Ireland just a week before where he took second at the the EWS, Sam Hill was back racing a downhill bike at World Cup level for the first time since August 2016. Many were hopeful that the rain the previous weekend have set him up for the technical battlefield that those woods became. 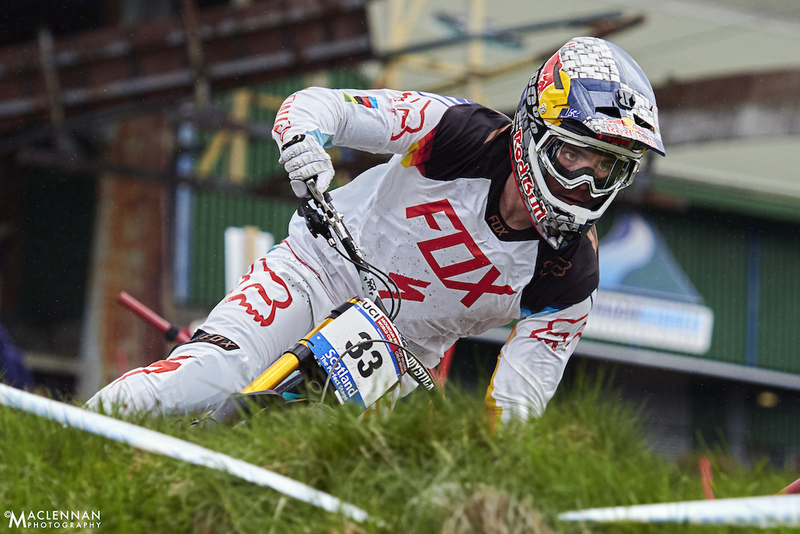 Amazingly, eighteenth this weekend is the best result he's had at a World Cup since winning Meribel way back in 2014. Kenta Gallagher is the local hero. 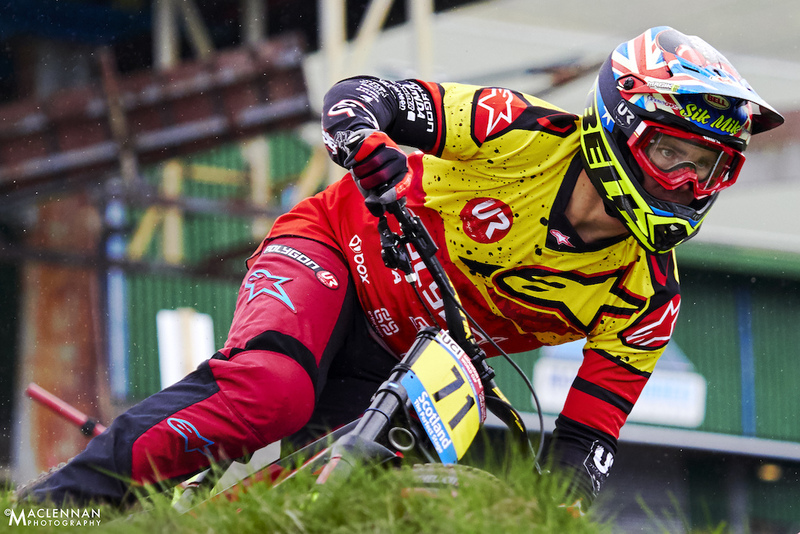 Earlier on in his riding career he was one of the standouts in his group but stopped downhill to focus on World Cup level XC, winning an XCE event, and taking tenth at his home Commonwealth Games. But those days are behind him, having quit XC to focus on his first love in the sport. Sitting on the Polygon UR team alongside the Hannahs and Alexandre Fayolle it's safe to say we should expect big things from him! Rachel had the perfect season in 2016. Could she repeat this feat in 2017? 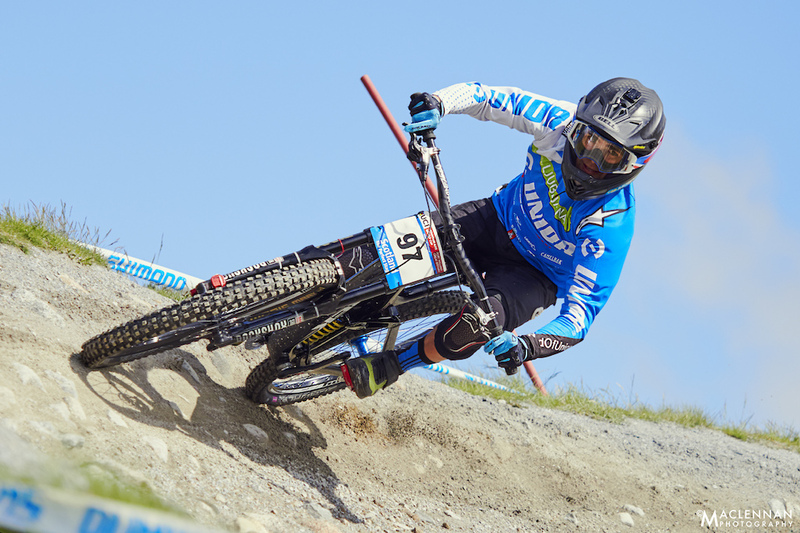 Undoubtedly the most skilled rider of her generation she's been dominating in a way reminiscent of Anne-Caro in the nineties. Laying down the benchmark time in qualifying gave her a thirteen second advantage going into Sunday. 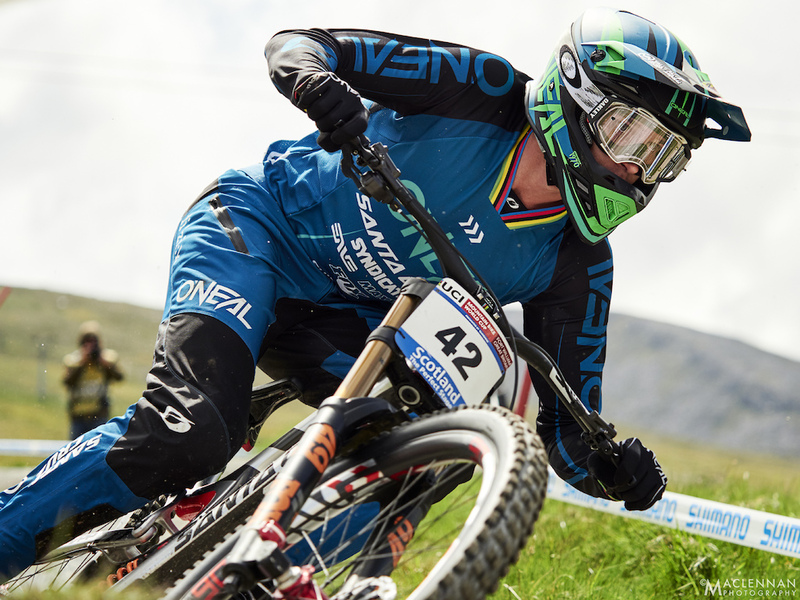 But Fort William is a cruel mistress and after a crash in practice on Sunday took her out of the race with a dislocated shoulder, an injury she's no stranger to, that dream has already been put to bed. 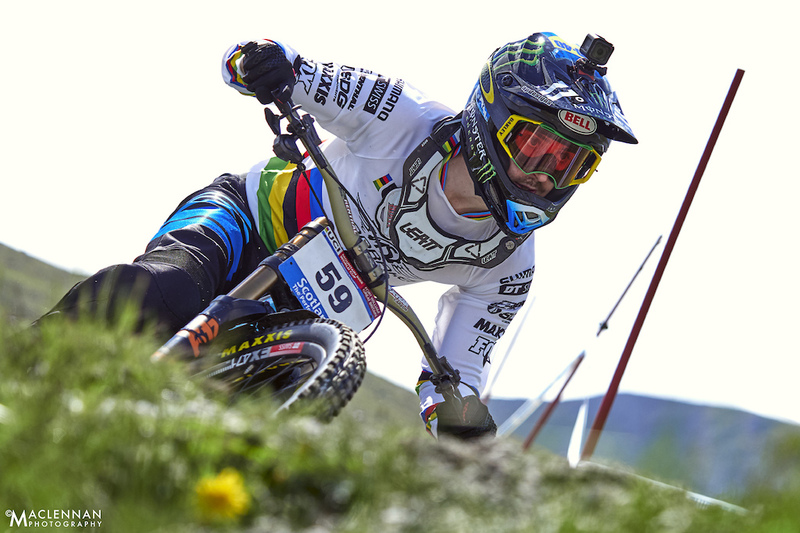 Will she be fit in time for Leogang? 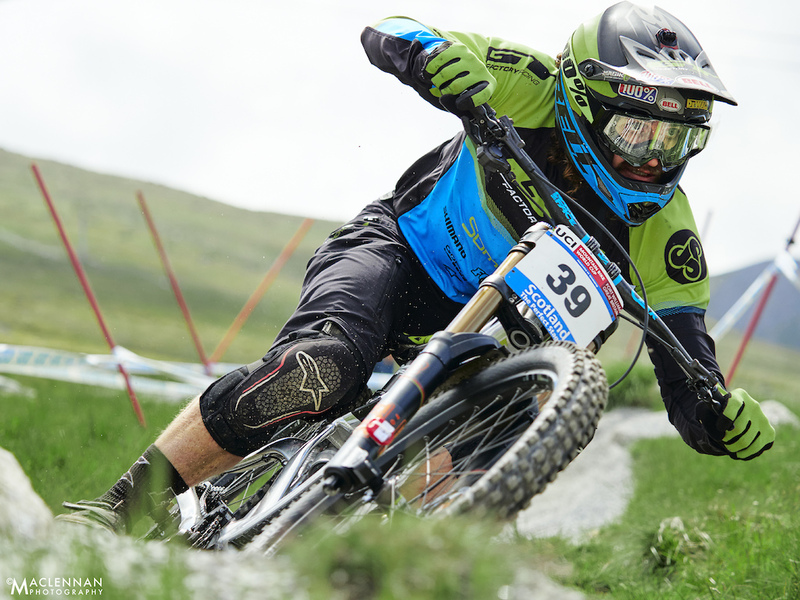 Phil Atwill has had some great results here with his best of sixteenth place last year. A mistake up top put him on the back foot but the Propain Dirt Zelvy rider still managed to pull it back to take a hard fought for 29th by the line. Saying 'one to watch' is an often overused phrase but in the case of Kaos Seagrave, it's deserved. 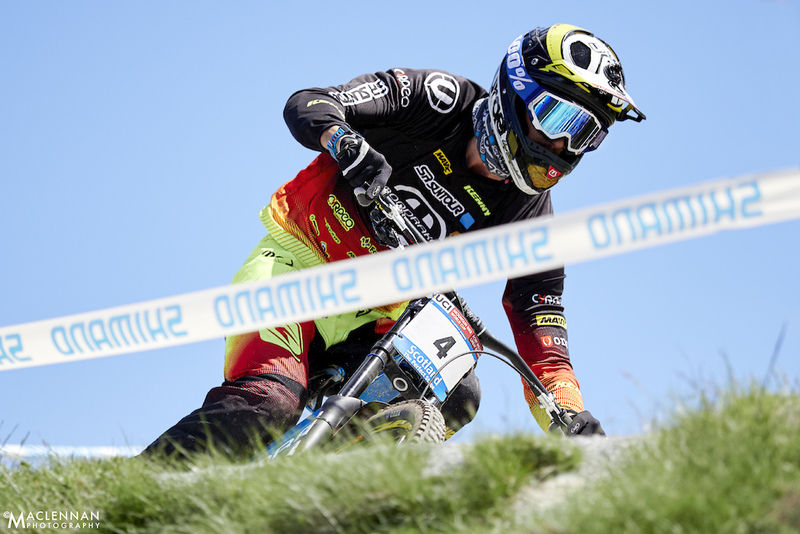 After a strong second place in Lourdes he, like so many this weekend had issues, but the pace is definitely there and consistent results will come. 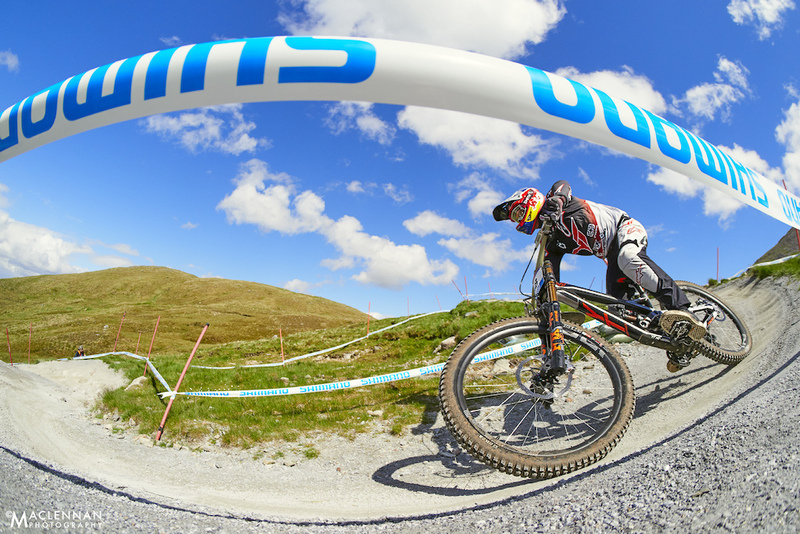 Loic Bruni was seen taking the inside lines like Hill of old. Just who does he think he is?! 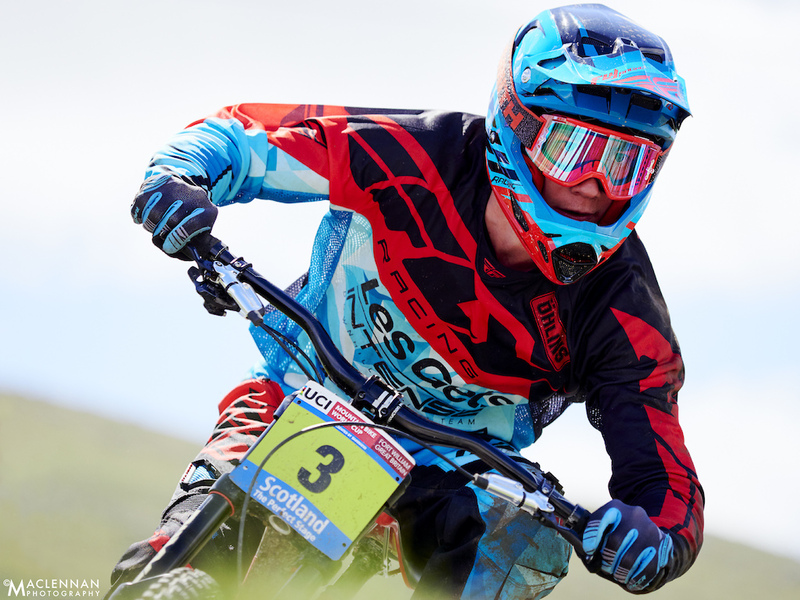 Outspoken in his views on weather, scheduling and wheel sizes he was approaching Fort William as a man on a mission. 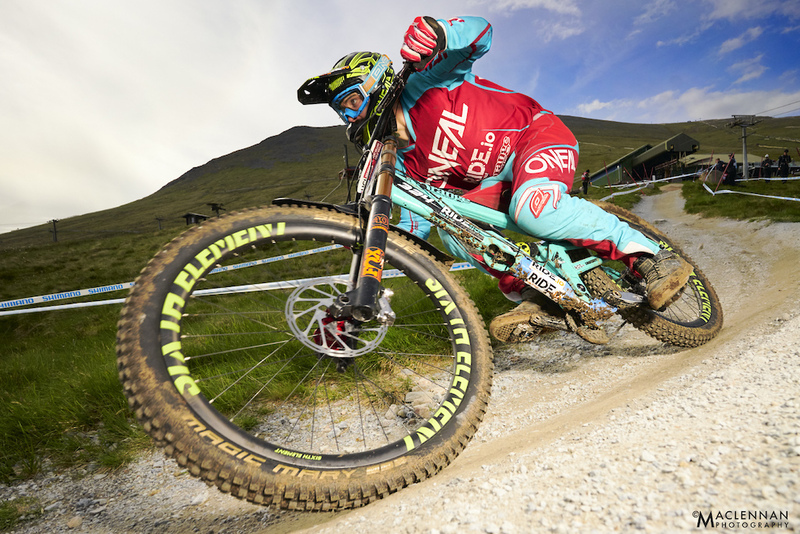 It looked like he was going to be playing catch up without the big wheels to help roll him over the biggest holes that Aonach Mor could throw, despite his views, and instead rely on sheer talent and balls. Judging by his lines in the last practice run before qualifying commenced, neither of those qualities were in short supply and it looked like a good result would prevail. But a swan dive into the woods sans bike is never a way to a fast run, and he was out. Taylor Vernon is no longer a 'lil ripper', now being a seasoned regular on the World Cup circuit, but the skills cut from time spent on regional tracks in 'The North', north of England for everyone outside the UK, are a special breed that produce world beaters and the form he once showed on these regional events is transferring to the talent on display here. He lost time at the top but pulled back 24 places from the first split to cross the line in 34th. Mick Hannah has his head screwed on. In an interview with Ride.io he called out the industry's constant march of progress and whether or not it is actually really for the benefit of riders at the end of the day, or just bottom line profit. Who is the major winner in yet another standard? The rider? 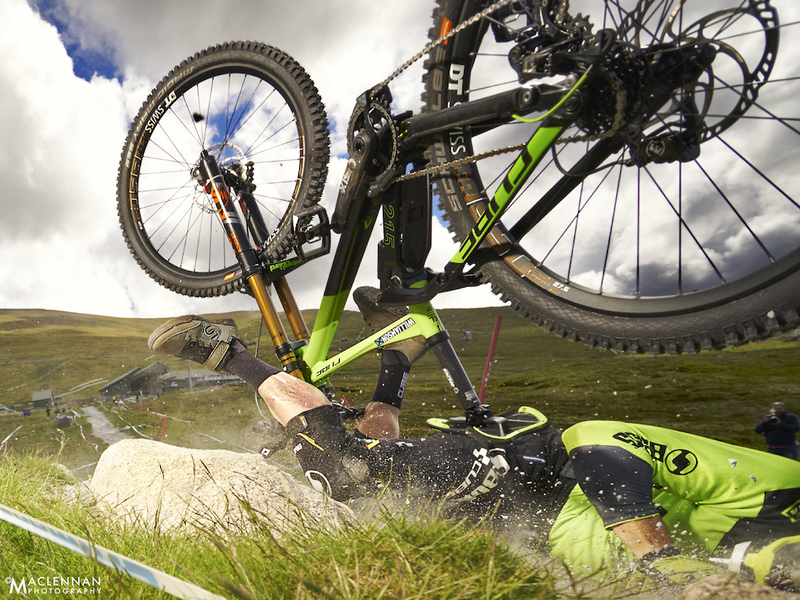 No chance, and certainly not those who will be left with yet another worthless bike just as they were with 26". Yes, progress is good, but if the ultimate advantage is then neutralised totally, is it really progress when all it's done is cost everyone more money? It wasn't Jack Reading's weekend. Tenth at the first split in qualifying was then blown to pieces by two crashes, but the all important top 80 was secure and was through to the finals. Come Sunday and no matter what's happened up to that point, everyone hopes that luck will be on their side and they'll be able to put their best run together. After going eighth at the first split, it was looking hopeful. 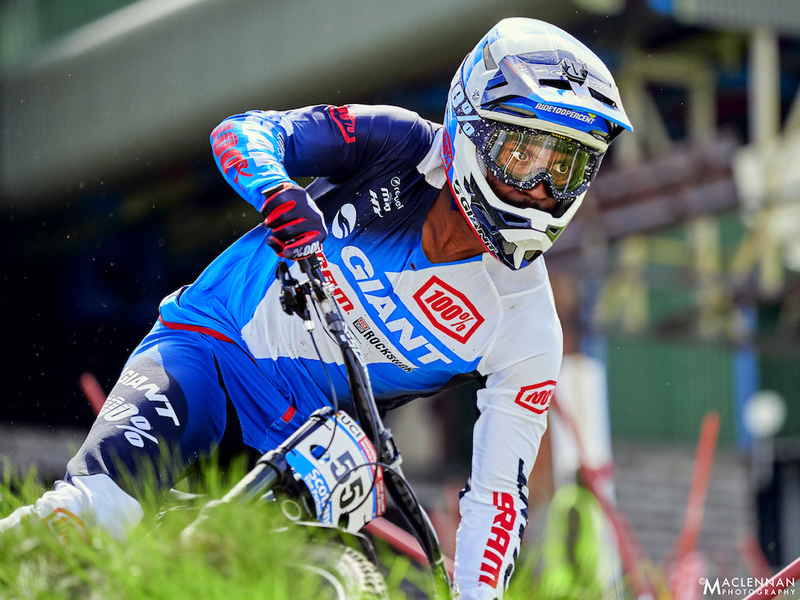 But, as so many other riders experienced, the woods were a lottery, even with skill on your side, and it was an over the bars which took away any chance of a great result. 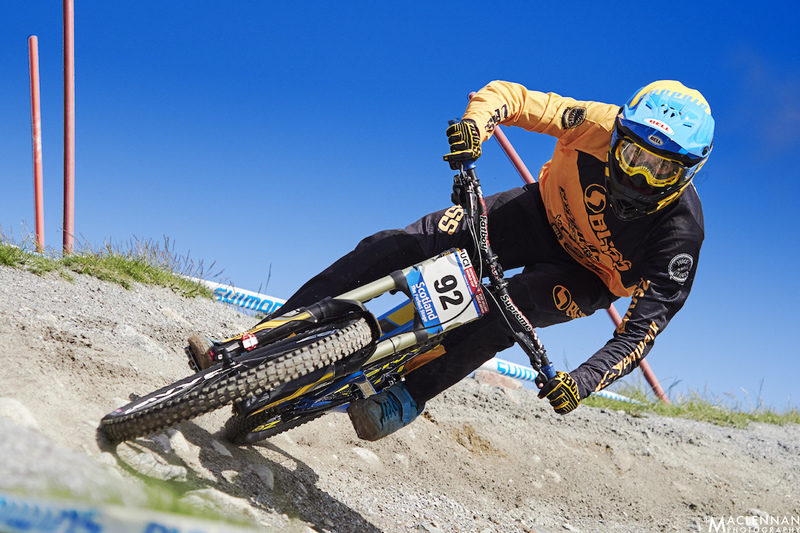 Emyr Davies is a man of many talents, like many of the privateer Brits, covering off engineer, journalist (having just taken over Ride.io with his partner), and crucially, racer. He's not had much luck here over the past few years and yet again had a hard time in qualifying. Ending up taken down by one of the many evolving holes in the woods that had been helpfully filled in with large rocks that moved around and took a huge number of riders out, it wasn't his day, but then nor was it any better or many others. Was the maintenance the right thing to do? Perhaps not, but then hindsight is a wonderful thing. With varying opinions on the section, there was at least consensus that leaving things to the last minute isn't the best plan for building a World Cup track. 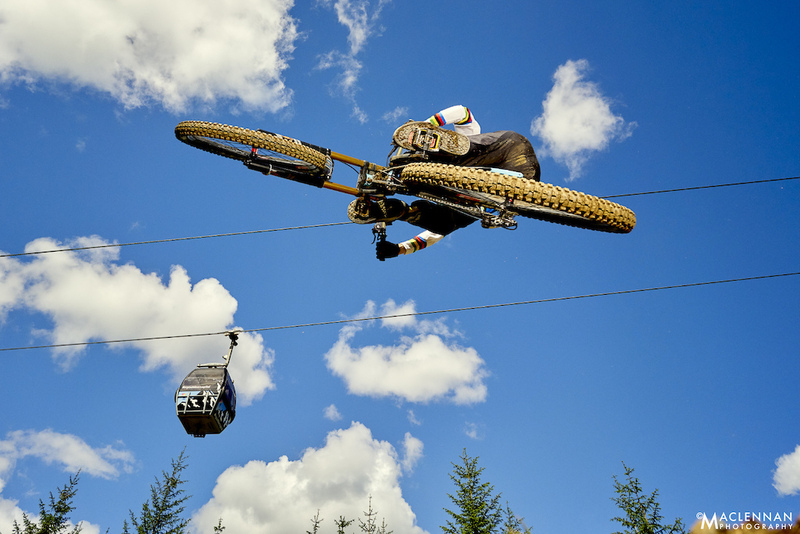 Elliott Jackson is always a great rider to watch. Intense focus, great style, and a crowd favourite. 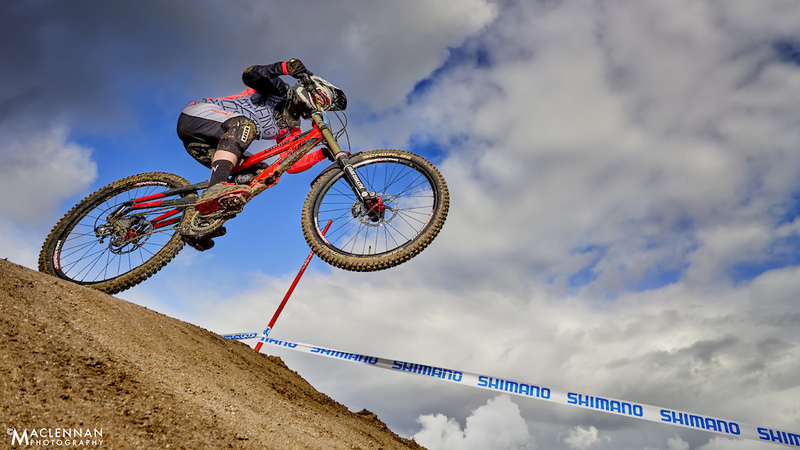 The wind wasn't as strong for him as it was Minnaar but it was still gusting and he was another to go off line and into the kitty litter up top. 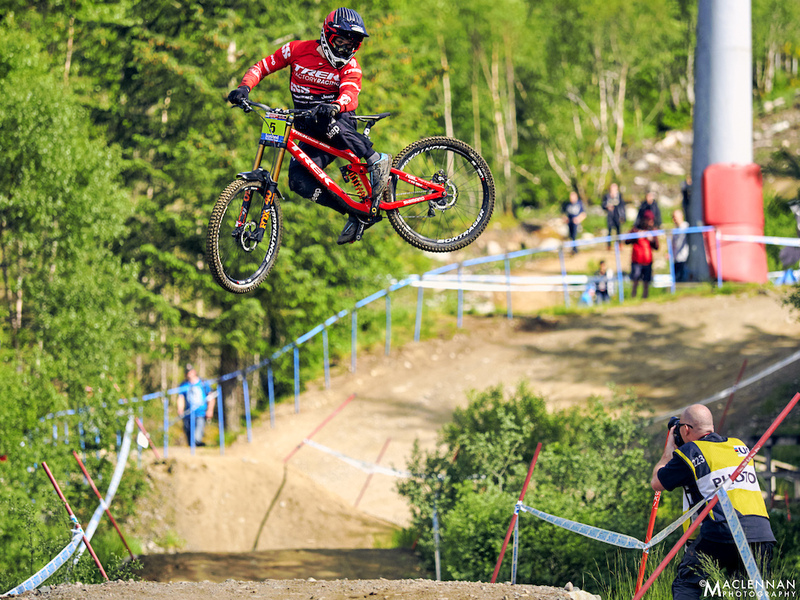 After winning the BDS here a few weeks prior against a stacked field it was looking like Danny Hart had his first Fort William World Cup win well within the sights. Going seventh in qualifying meant that there was work to do,but it was surmountable. And anyway, what counts is the result in finals. Unfortunately, a crash in the woods took out yet another front runner. 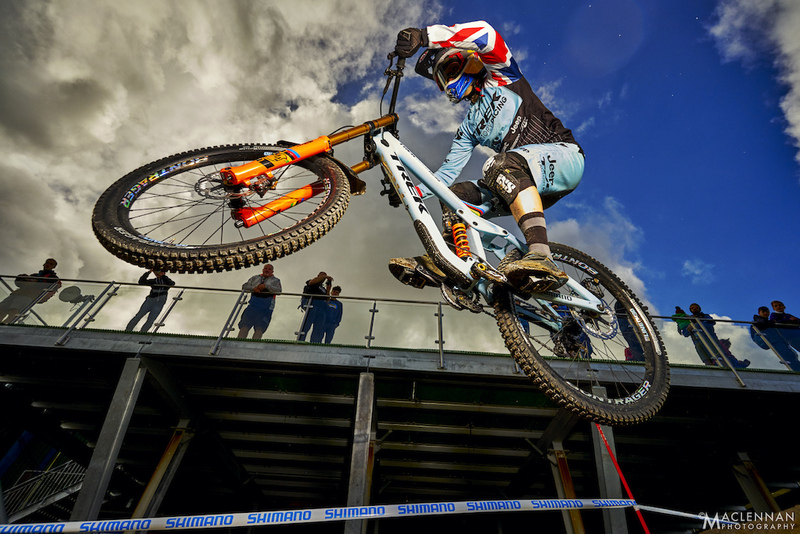 There's a lot of Britain to travel between the south coast of England and Fort William, especially for your first World Cup. It's also a long way to drive home when things haven't gone your way. 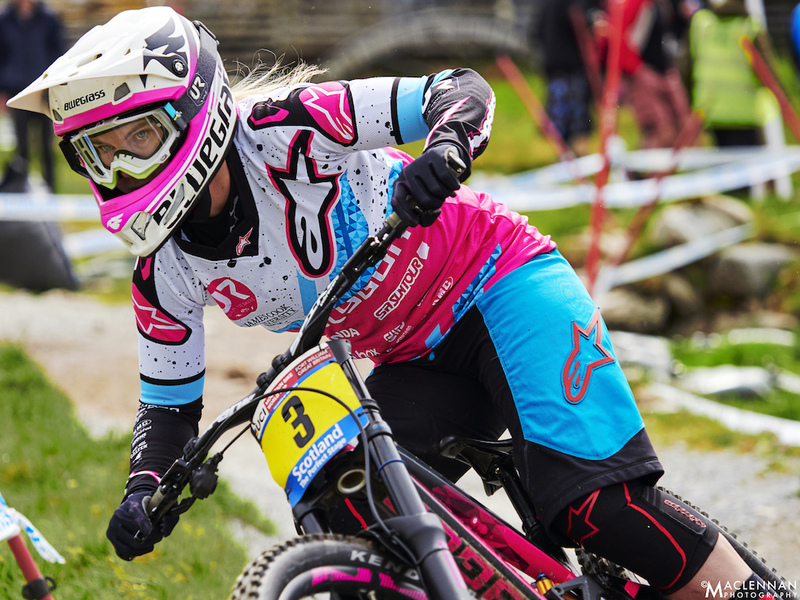 Despite having a 'mare in qualifying and taking a digger in those woods come finals, Meghan Harris took fourth in Juniors and fastest through the speed trap. So close. 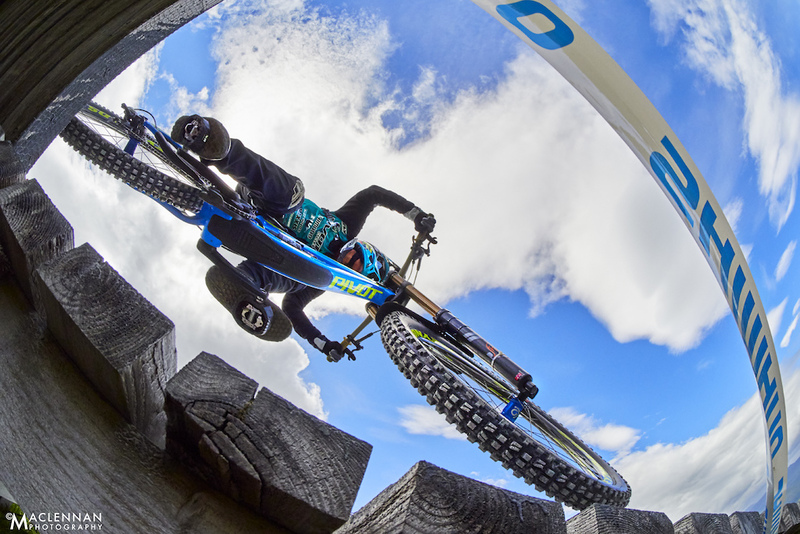 With some serious ground to make up after Lourdes Troy Brosnan was nearly on the podium pace. 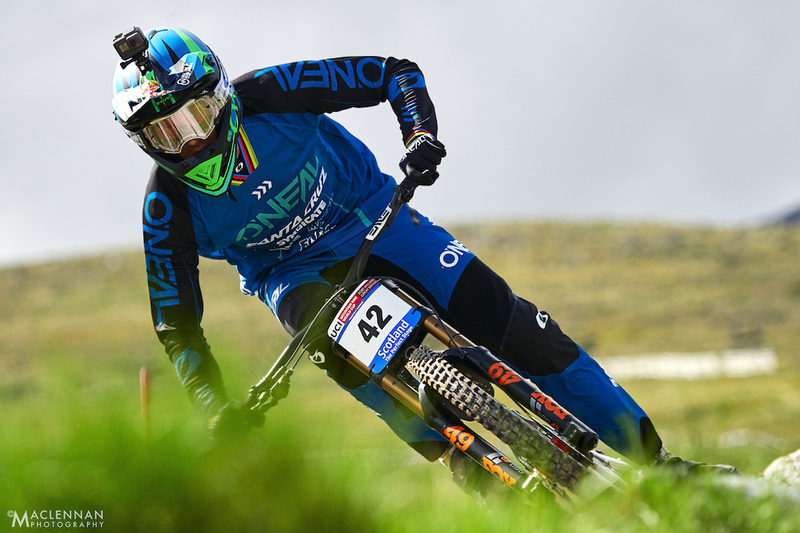 However, away from the significant gap Minnaar had over the rest of the field it was close, and just 0.2s was all it took for Troy to be pushed into sixth. 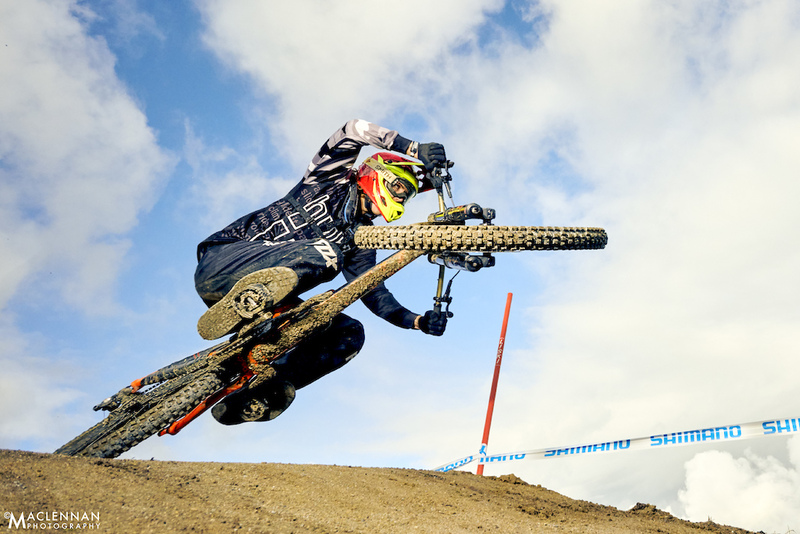 While Brendan Fairclough may not be troubling podium pace he's one of the most stylish and entertaining riders out there. Absolute focus from Graeme Mudd. Home can feel a great distance away when you're having a bad weekend. 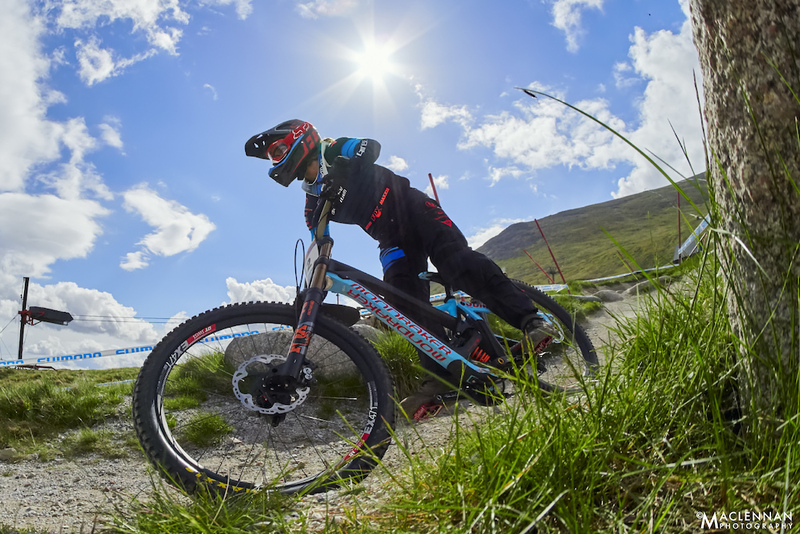 It's fair to say that many riders will be leaving Fort William disappointed after crashes, mistakes, mechanicals and punctures. But a new race is a new chance. Junior World Champ Finn Iles has possibly the best paintjob of any bike on the circuit, but then that comes with being the reigning Junior World Champion. 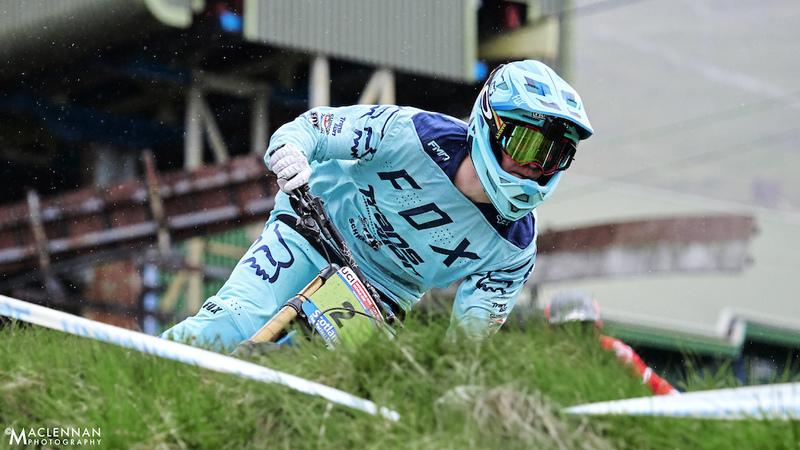 Always a solid bet for a top three, second place is on the money and while may not be a repeat of the win from Lourdes, it was a strong showing on a weekend when many failed to shine. Aussie Peter Bethell may not have set the world on fire in some people's eyes but after failing to qualify in 2016 it must have been a relief to finally make it through to Sunday! It's easy to forget that just getting to a World Cup is a mission in itself, and for many, the culmination of much training, failure and hard work. Qualifying for one is another game altogether but one which Peter will be hoping to repeat. Neko Mulally is on a charge this year. 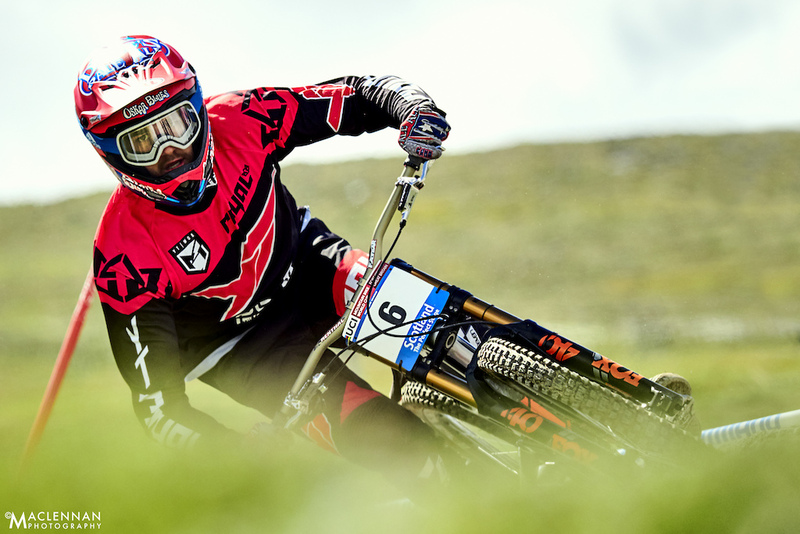 The American is sitting pretty in the overall's after two seventh places in the World Cup so far and will be looking to continue his run of form into Austria this coming weekend. 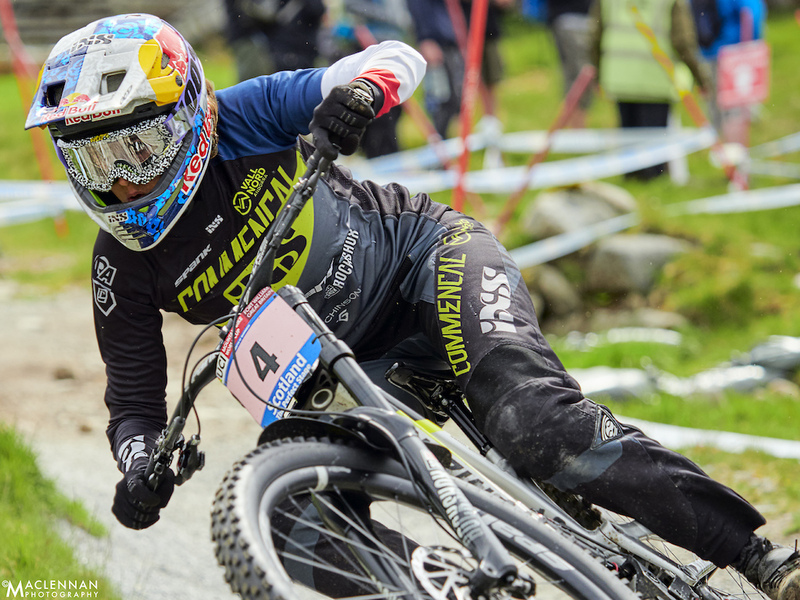 Despite admitting to a bad run, Myriam Nicole kept it together well enough for second on the 29" Commencal. Nae gloves is a brave option here. Rupert Chapman takes it in his stride but nonetheless had a Sunday to forget. Tahnee Seagrave was another one who took to social media to vent frustration after the event, the key line being 'this is racing, not a joke for viewers'. While that can perhaps read a little harshly in the cold light of day, the ultimate sentiment is perhaps a fair reflection of the training, dedication and build up that goes into preparing for a race weekend, and simply shows the passion the top riders all have for the sport. While everyone is free to take the rider complaints as they see fit, it's worth remembering that most were said shortly after bitter disappointment, and said with the best future of the sport in mind. Tahnee's day will come, and she will win that first World Cup. Sadly, this weekend just wasn't to be it. 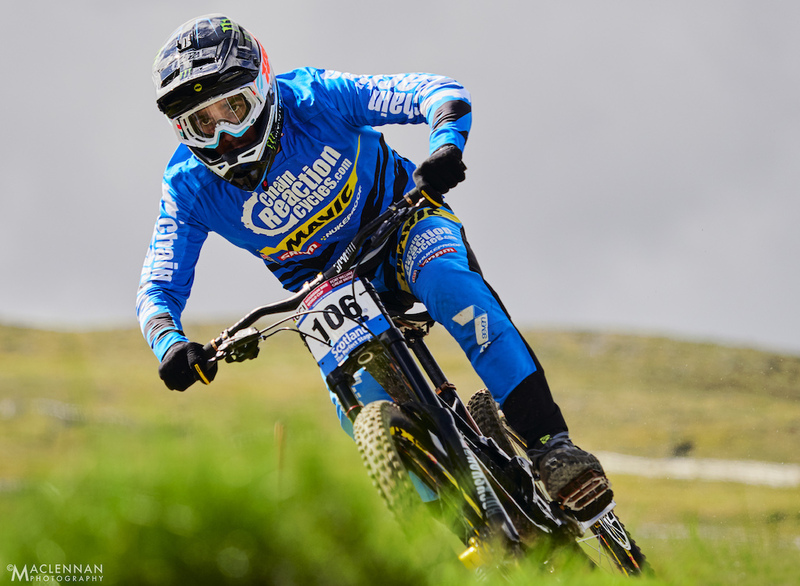 Frenchman Sylvain Cougoureux has pulled two third place trophies from the bag in the first two World Cups of the year. It's not a bad way to start a season, especially when paired with a Junior European Champion championship title! Was 2017 a vintage year? 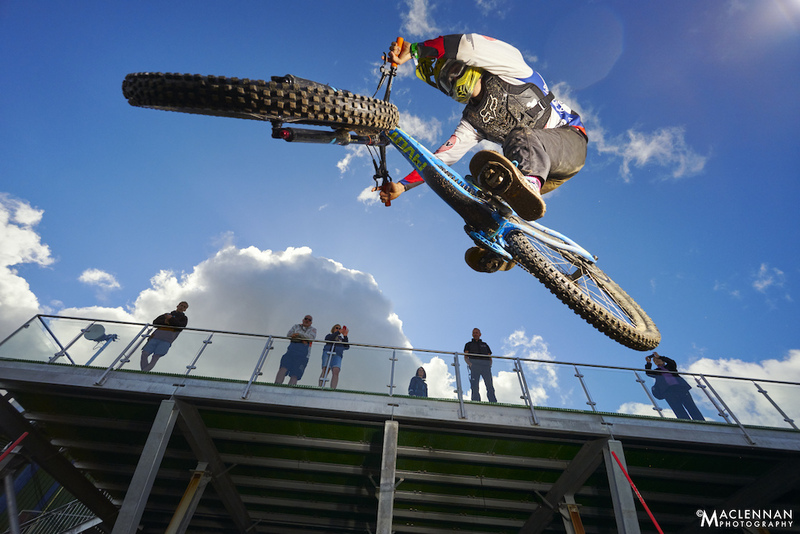 From a rider's perspective many will be thinking it was one to forget, but over the past 16 races here the only surprise is that it never fails to surprise. Conditions play a part, as do mistakes and mechanicals. But from the view of a spectator the race was one of the best ever. 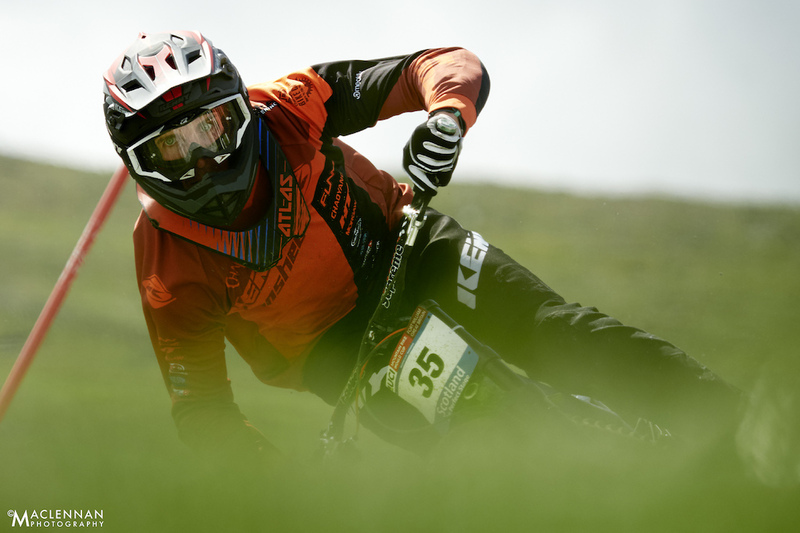 Suspense, challenge and of course, Minnaar's ground breaking run in the worst conditions of the weekend to take the win as last rider down the hill. The atmosphere was absolutely electric and that really is what makes the race so special. Not just 'Home of the Brave' as they called it this year, but home of those who appreciate the brave! 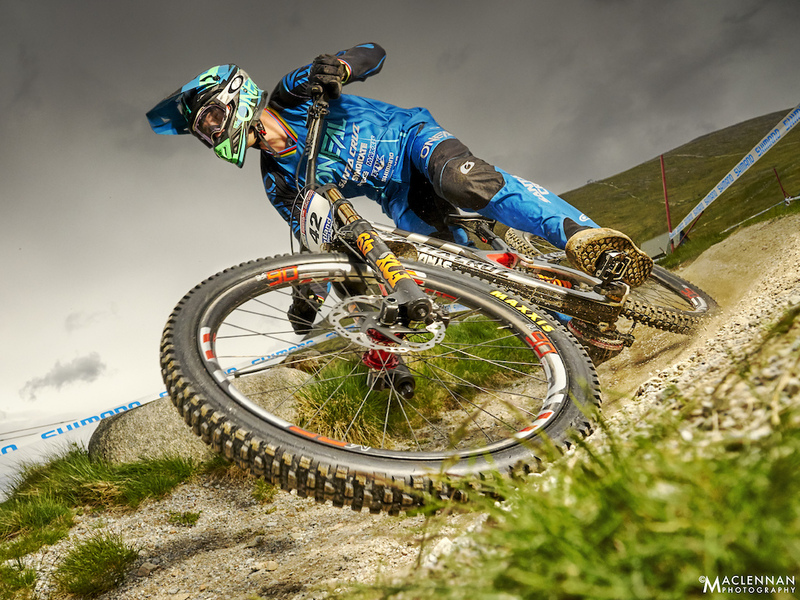 I have been shooting downhill for many years now and I am very confident that the riders in these shots would have no awareness of flash being used. I know how to shoot flash so as not to disturb riders and this is why : the flash units are always placed behind or below the rider and angled so that the light cannot reach the eyes; the flash is used only for fill-in so is about one stop below the level of ambient light and the flash is not being used in any situation where the ambient light levels are so low that the riders' pupils will be widely dilated; I use two mono blocs with wide surface area reflectors and diffusers to create a large patch of light rather than a point source - if you looked directly in to these units as they fired it would be bright but nothing like looking into the flash of a small compact camera which produces an intense pinpoint of light; lastly I use high speed sync which produces a continuous even output light throughout the exposure as opposed to X-Sync or Hi-Sync that produce very large pulsed output. The fact that some photographers use their flashguns without regard to riders should not mean that all flash photography is automatically bad. @Enochdhu: Sorry but in pic of Peter Bethell you can see that flash is placed in front of him as well as strobe light reaches his eyes. I`m not going to drag about this. I`m rider and photographer myself and talking from my personal experience. Not trying to say that photos don`t look good, they are actually really nice. That photo of Peter Bethell FTW. 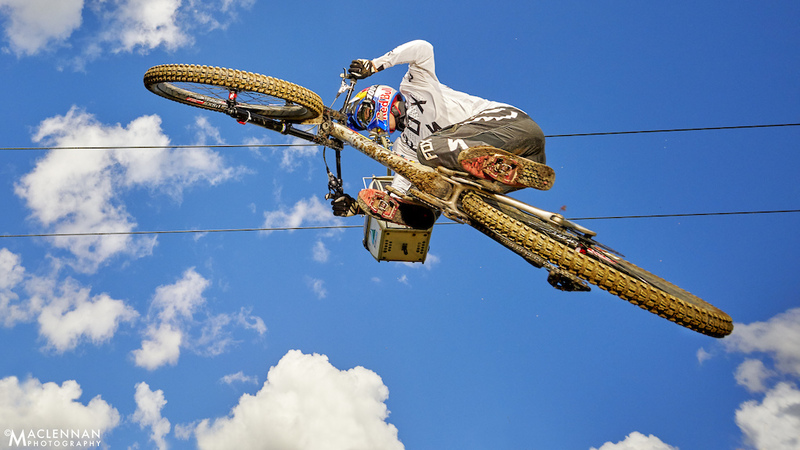 Pure moto.